IndieCade, “the Sundance of video games”, is the largest festival of alternative, independent, and fringe games in the world, and exists as a celebration of the medium’s creativity and innovation. I attended all four days of the festival, including the closed-doors award’s ceremony at the Museum of Contemporary Art. There’s something to be said about this year in video games, that it’ll be looked back upon as something special. 2012 brought Kickstarter games like FTL to the limelight and was headlined by Journey’s high honors at practically every possible awards show that it was eligible to partake in, giving us a taste of the paradigm shift that was about to come this following year. In 2013, a tiny game jam game went viral and became one of the year’s most unexpected phenoms. A higher form of games criticism, spearheaded by queer writers, emerged from the underground. An Experimental Gameplay Workshop in San Francisco filled an entire auditorium. An unknown poverty simulator by a videogame zinester won grand prize at the IGF, before its recognition was passed onto a surrealistic text adventure by a transgender interactive-fiction writer. Story-driven AAA games from Irrational and Naughty Dog ventured into new thematic areas such as the illusion of autonomy in game narratives and the social ramifications of Christianity’s central narrative. A new genre rooted in the mid-2000s mod-scene matured to create an American eSports scene comparable to Korea’s. Major console manufacturers aggressively reach out to new studios. New devices provide entirely new methods of play and open up entirely new worlds of design, and middleware like Unity has lowered the entry-bar to development and powered wonderful games like Kentucky Route Zero and Gone Home. There is much to celebrate about games this year, and IndieCade was the place for that to happen. This year’s GDC was filled with an ecstatic energy of anticipation, of people waiting to write the story of a nascent Renaissance. IndieCade however, was a thunderous roar, echoing into the mountains and shaking the earth with love and energy. The magical realist adventure game Kentucky Route Zero won the award for visuals and narrative, completely deserved too, its paper cut aesthetic evokes a nostalgic sense of Americana without once ever becoming kistchy. Gone Home brought home honors for sound, its creaky, creepy hallways channel the dreadful feeling of walking through one’s basement at night. Brendon Cheung’s hacking adventure Quadrilateral Cowboy won the Grand Jury Award. Tracy Fullerton, the head of the USC Interactive Media Division, received the trailblazer award for her pedagogical work in game design education, her textbook Game Design Workshop respected and studied industry-wide and her pedagogy building the foundation for the teams behind games such as Journey and The Unfinished Swan. Which makes me feel incredibly honored to study games within the division. Numerous visionaries scurried around the festival, and IndieCade’s celebratory, casual tone made them much more approachable than they were a few months earlier at GDC. I was able to talk to and attend talks by people like Mattie Bryce and Ian Bogost, as well as chat about game development and self publishing with each of the award winning game designers. Corporate sponsors were there showing off their new indie outreach efforts, most notably, Nintendo and Sony, as well as Ouya and Oculus. Nintendo demoed the Wii U dev kit’s integration with Unity and the Nintendo Web Framework and gave away free information packets about self-publishing on the eShop as developers showed off their Wii U work at nearby booths. Indie devs are the most interesting and friendly group of people around, and I chatted for nearly an hour with Tulio Adriano Gonçalves, who created a sixty-hour homebrew RPG for the Sega Genesis in 2010 and Kickstarted a remake for the Wii U just last year about the design and aesthetic influences of Chrono Trigger on traditional RPG design. At the Sony tent, I played a few PS4 games like the ridiculous and deep Divekick and the beautiful, particle-laden ResoGun, the console’s controller is fantastic, making numerous changes to the pad’s fundamental design to make it ultimately more ergonomic to the touch. 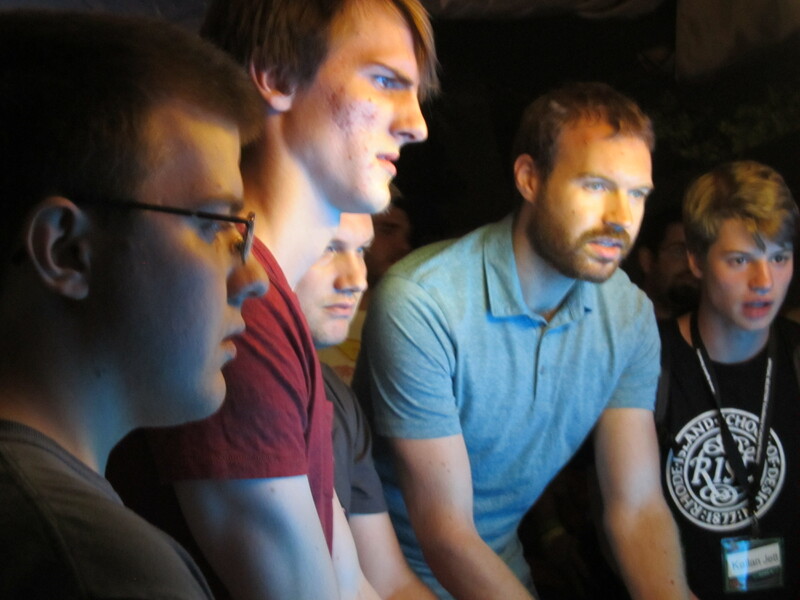 Night Games, the festival’s slot for installation games, was particularly memorable. A 10-player arcade cabinet RTS-platformer hybrid called Killer Queen was particularly addictive, causing raucous arguing and laughter within the group I played with. Edgar Rice Soiree, an installation game much like Twister, created a jungle of hundreds of hanging PS Move controllers and had players swing through them in a graceful, calming dance. SoundDodger was another physical game that had its players dance, as players dodged incoming bullets from the ground while clapping to slow time. Another installation game was the Hearst Collection, which I was unable to play, a game that tasked players with navigating a maze of lasers to steal a painting. 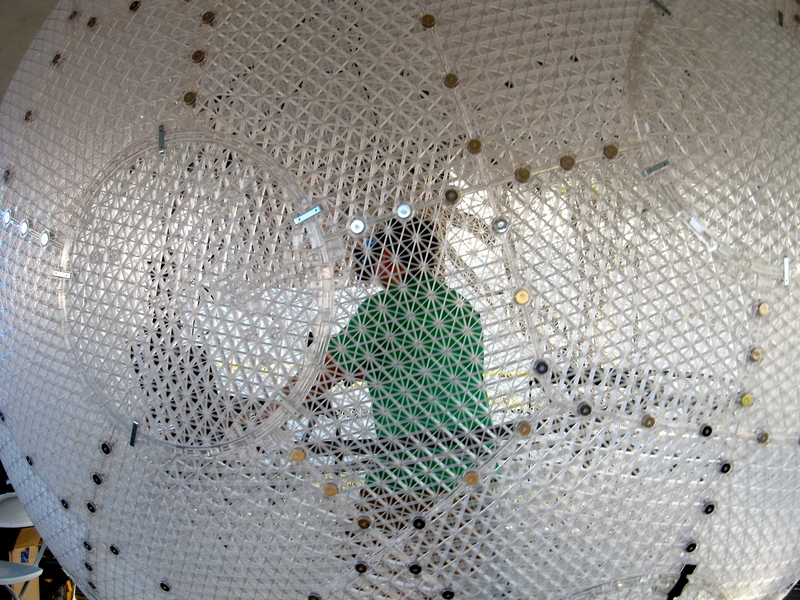 One VR installation that I was unable to try I dubbed the “IndieCage”, a spherical cage in which players would walk about in while wearing an Oculus Rift, allowing for players to walk about virtual game spaces. Very cool stuff. My time at the festival concluded at the Audience Awards Ceremony, where my friends and I started an impromptu dance party as Richard Lemarchand DJed. 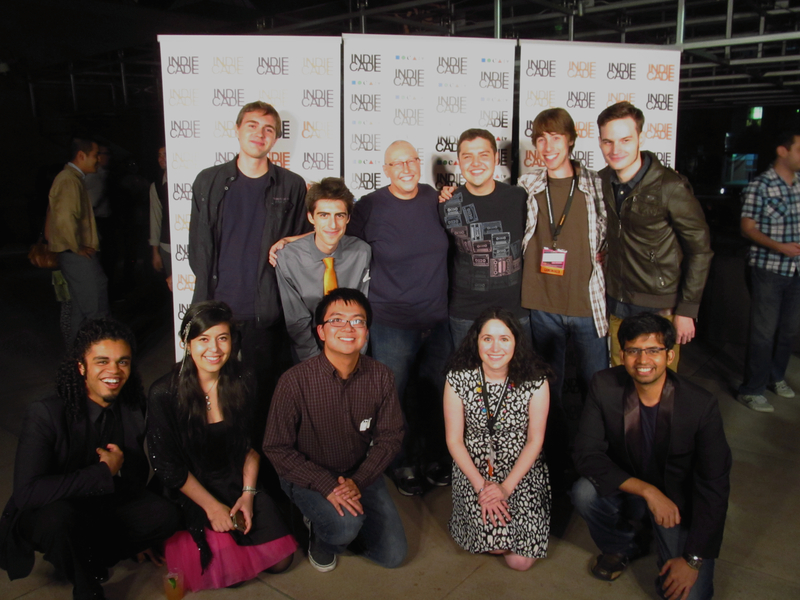 IndieCade is more than a professional conference, or gaming convention, or networking event. IndieCade is not precisely the place to exchange business cards or make professional contacts. IndieCade is a celebration. A celebration of the love that we have towards this craft and each other. IndieCade isn’t about working towards becoming a better games professional, but rather about partaking in that elusive verb that we’re called upon to invoke: play. IndieCade is the place to laugh and love, to gather around a common passion and that which is meaningful to us. Given that so many of gaming’s major events are professional or business-facing, IndieCade’s joyous playfulness is exactly what we need to remind us of our place in the world.